In today’s upside world, Canada’s prime minister Stephen Harper and Canada’s foreign minister John Baird possess the most moral compass when it comes to Israel. Canada emerged from the international theater of the absurd as an all round star. Today, under the leadership of prime minister Stephen Harper, Canada is the leader of the free world. Canada’s friendship and alliance with Israel is almost perfect. Stephen Harper could not be more morally guided politician. His speech at the Knesset proves that he has unapologetic support for Israel and rejects calls to criticize and isolate Israel like no other country; Harper is a world statesman and a politician with deep moral compass and understanding wrong from right and he is not scared to speak up and act on his honesty and integrity in an ocean of fallacious, dishonest, of double standard and biased politicians. 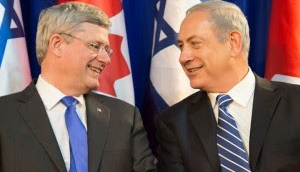 Harper could become the perfect friend of Israel if he moves the Canadian embassy from Tel Aviv to Jerusalem. But… Canada’s foreign ministry still believe that Jewish settlements in Judea and Samaria are illegal. That means that the Canadian prime minister office and the Canadian foreign ministry office are not on the same page and thus the entire Canadian government is not [yet!?] congruent. Let us hope this changes soon. I believe the story of Israel is a great example to the world. 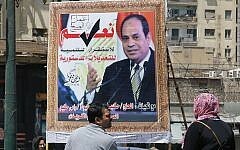 It is a story, essentially, of a people whose response to suffering has been to move beyond resentment and build a most extraordinary society, a vibrant democracy, a freedom-loving country with an independent and rights-affirming judiciary. An innovative, world-leading “start-up” nation. You have taken the collective memory of death and persecution to build an optimistic, forward-looking land, one that so values life, you will sometimes release a thousand criminals and terrorists, to save one of your own. 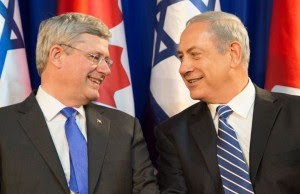 In contrast to the hypocrisy Netanyahu bemoans, along comes Canada’s prime minister Harper and shows Israel a very different way of feeling and that there is no need to temper sugar with vinegar. 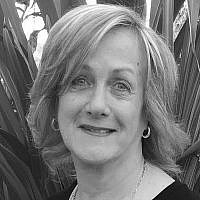 Every Israeli politician must learn Harper’s speech by heart and use it as talking points.